The training was organized by the Secretariat of the Basel, Rotterdam and Stockholm Conventions in cooperation with the Institute of Advanced Studies of the United Nations University. The Government of Switzerland has kindly provided the funding for the training course. English was the working language of the training. The training addressed practical and procedural issues encountered by chairs of international meetings, encompassing preparations for chairing, rules of procedure, administrative matters related to the operation of various meetings under the three conventions, as well as communication techniques and skills. The training included presentations, case studies and simulation exercises. Senior negotiators who have previously served as chairs shared their experiences, lessons learned, and best practices. Strengthening synergies through using best practices and lessons learned across the three MEAs and empowering potential chairs to serve different types of meetings. The training session targeted government representatives from countries which are Parties to at least one convention. Parties were invited to nominate candidates who would need to submit their applications through appropriate official channels. Candidates were selected by the secretariat based upon the strength of their applications materials, as well as due consideration for balanced regional participation and gender equality. 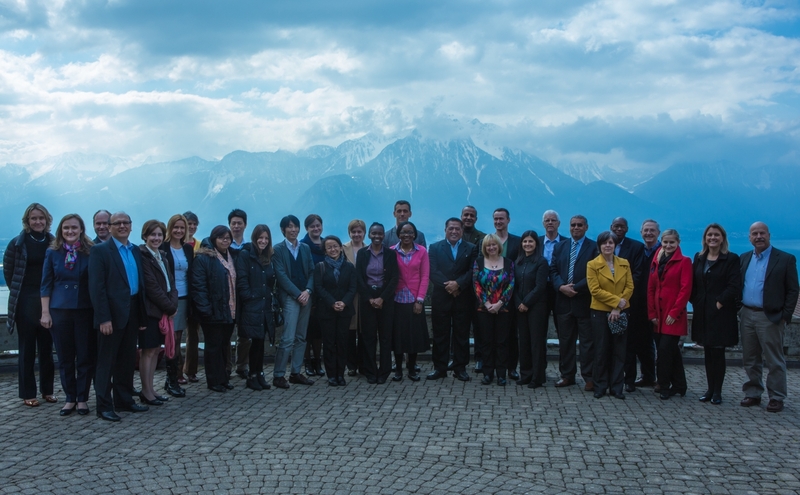 17 participants from the following countries attended the training: Argentina, Brazil, Canada, China, Colombia, the Cook Islands, Ecuador, Egypt, Georgia, Indonesia, Japan, Malawi, Poland, the Russian Federation, Senegal, Sudan, and Switzerland. The participants benefited from the experience of former chairs who led various BRS processes, including the conferences of the parties, meetings of subsidiary bodies, contact groups and informal consultations. Through the combination of lectures, case studies, videos and simulation exercises the participants learned firsthand how to effectively chair intergovernmental meetings and guide them toward consensual outcomes. For questions regarding the training session, please contact Tatiana Terekhova (Tatiana.Terekhova@brsmeas.org) and Alain Wittig (Alain.Wittig@brsmeas.org).